I grew up in the late 60s and early 70s, which means that I was one of those fortunate people who got to listen to the best music and watch the best television shows ever made. Emergency!, Fantasy Island, and Batman were some great television, and I rarely ever missed an episode. The list of iconic 70s television shows is a long one, but at the top of that list sits Batman - for me and millions of others who grew up during that period. On Saturday, the Batcave closed for good when Adam West, the real Batman, passed away. Adam West seemed like such an approachable and public guy. He had no delusions about where his fame came from, and he was one of the few Hollywood icons who responded to fans regularly on Facebook. I was an avid follower of his on Facebook, and he never disappointed when it came to interesting information. But there was one thing that was missing from West's public persona - information about his private life. Aside from a few pictures of his grandkids and great grandkids, West never published information about his health, his financial situation, or his family struggles. He did that because, I assume, he wanted to preserve the image of Batman the hero and Adam West the happy-go-lucky actor for his fans. No one ever talked about it on his Facebook page, which shows just how well West knew his fans. He knew that they wanted to only hear and see positive things about him, and he did that to protect us Citizens from any possible intrusion of the truth. Adam West died from a short battle with leukemia. He was 88 years old, and to all of his fans he looked like he could go another 88 years. Nothing seemed wrong, until you actually paid attention to what was going on. 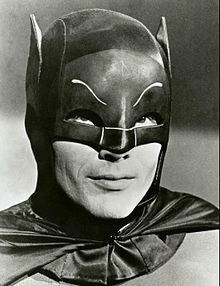 Adam West ran his own Facebook page, which was really obvious to all of us. He had not posted anything new since April 23, which should have been a red flag to all of us who followed him. But instead, we patiently waited for Batman to post something new to brighten our lives for just a few minutes. None of us suspected anything. So it wasn't the Joker who got him or the Riddler who finally brought down the Caped Crusader, it was a disease that suddenly pushed Adam West out of the realm of larger-than-life superhero to the realm of human being. A lot of us are still adjusting to the idea that Batman was indeed a regular guy, but the man that was Adam West will always be larger than life. Rest in Peace, Batman. For those of us who you affected in so many ways, we will miss you. But thanks to your never-ending crusade to stay in the public eye, we will always have plenty of memories to re-live forever. George N Root III is, and always will be, an Adam West fan. Follow him on Twitter @georgenroot3, or send him a message at georgenroot3@gmail.com.